As November stubs out the glow of autumn and the days tighten into shorter hours, winter’s occupation begins. Preparing for winter has its own rhythms, as old as our exchanges with the land. Of all the seasons, it draws us together. But winter can be tough. It is a time of introspection, of looking inwards. Seasonal sadness; winter blues; depression – such feelings are widespread in the darker months. But by looking outwards, by being in and observing nature, we can appreciate its rhythms. Mountains make sense in any weather. The voices of a wood always speak consolation. A brush of frost; subtle colours; days as bright as a magpie’s cackle. We can learn to see and celebrate winter in all its shadows and lights. 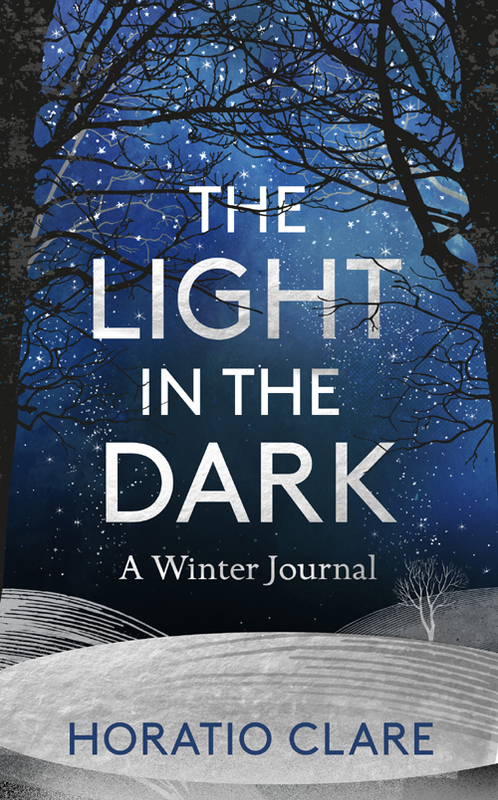 In this moving and lyrical evocation of a British winter and the feelings it inspires, Horatio Clare raises a torch against the darkness, illuminating the blackest corners of the season, and delving into memory and myth to explore the powerful hold that winter has on us. By learning to see, we can find the magic, the light that burns bright at the heart of winter: spring will come again. Horatio Clare lives in West Yorkshire. He is a critically acclaimed author and journalist. His first book, Running for the Hills: A Family Story, won the Somerset Maugham Award. His second book, Truant, is ‘a stunningly-written memoir’, according to the Irish Times. A Single Swallow: Following an Epic Journey from South Africa to South Wales, was shortlisted for the Dolman Travel Book of the Year; Down to the Sea in Ships: Of Ageless Oceans and Modern Men won the Stanford-Dolman Travel Book of the Year 2015. Horatio’s first book for children, Aubrey and the Terrible Yoot, won the Branford Boase Award 2016 for best debut children's book. Horatio Clare is available for interview, features and events. For more information about this book, please don't hesitate to get in touch.